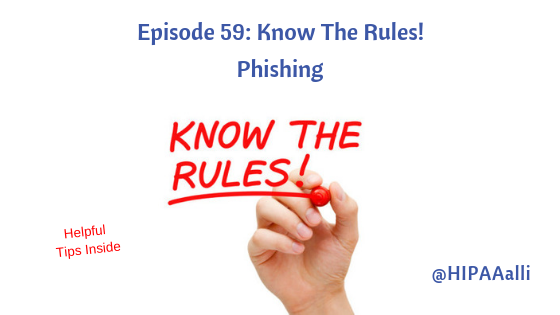 In this week’s “Know The Rules!,” I present different methods Covered Entities (CEs) and Business Associates (BAs) can use to detect and avoid phishing attacks. 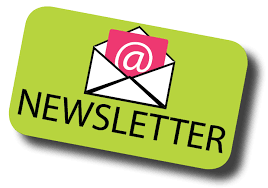 Spam, phishing and other scams aren’t limited to just email. They’re also prevalent on social networking sites, like Facebook, WhatsApp, Instagram and Twitter. The same rules apply on social networks: When in doubt, throw it out. This rule applies to links in online ads, status updates, tweets and other posts. Don’t reveal personal or financial information in an email and do not respond to email solicitations or phone calls for this type information. Before sending sensitive information over the Internet, check the security of the website. Malicious websites may look identical to a legitimate site, but the URL may use a variation in spelling or a different domain (e.g., .com versus .net). Information about known phishing attacks is available online from groups such as the Anti-Phishing Working Group. Having the latest operating system, software, web browsers, anti-virus protection and apps are the best defenses against viruses, malware, and other online threats. Report it to the appropriate individuals within the organization, including network administrators. If you believe your financial accounts may be compromised, contact your financial institution immediately and close the account(s). When in doubt, throw it out – links in email, tweets, posts and online advertising are often how cybercriminals try to compromise your information. If it looks suspicious, even if you know the source, it’s best to delete or, if appropriate, mark it as junk.